Steam carrots and beets until tender, about 10 minutes. Allow to cool, and then place in bowl. Add cilantro. Make dressing by combining ingredients, then pour into bowl and mix. Allow to marinate in the refrigerator for at least an hour before serving. Nancy Mehagian has been involved with food and healing since 1969, when she opened the first vegetarian restaurant on the Mediterranean island of Ibiza. A native of Phoenix, Arizona, she attended USC and graduated with a degree in English Literature from Arizona State University. She is also a newspaper columnist and writes the Ask a Healer column for the MadashellClub.net. 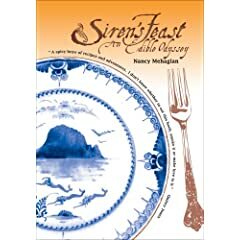 Nancy Mehagian has previously published a vegetarian cookbook for children, Supernatural, lectured at health conventions, catered for celebrities and taught gourmet cooking classes, creating cuisine that is healthy, international and authentic.